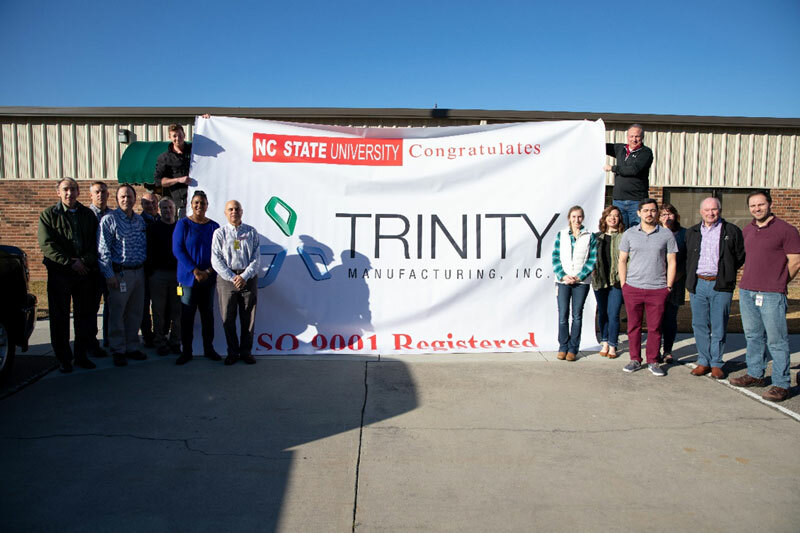 RALEIGH, NORTH CAROLINA– NC State Industry Expansion Solutions (IES) announced that its client, Trinity Manufacturing Inc., has successfully completed its ISO 9001:2015 certification for its manufacturing facility in Hamlet, North Carolina. ISO 9001:2015 focuses on quality management systems and performance and is the most updated standard of its kind. Trinity Manufacturing is a premier manufacturer of specialty products used in agriculture and water treatment. They are committed to safety and sustainable growth by being a trusted and involved business partner to both its customers and consumers. 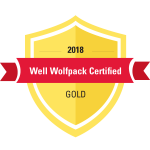 “Certifying to ISO 9001:2015 demonstrates Trinity Manufacturing’s commitment to meet its customers’ needs, as well as a dedication to make its organization more effective,” said Adrianne Kroll, Quality Improvement Specialist with IES who coached the Trinity team on their certification process.